Welcome to And finally, the home of the latest rumours and news tidbits you may have missed over the past seven days. It's been a fairly slow week with regard to new device drops, but that doesn't mean there wasn't plans made for the future, with Casio announcing a patent partnership with Microsoft, Blackberry (yes, Blackberry) hinting at consumer-facing wearable devices and Pebble releasing an update to its cloud servers. Read on for everything else that went down this week, and head over to our dedicated news section for the bigger stories. Google preparing a Home upgrade? Google arrived on UK shores this week, months after rival Amazon launched its Echo range. If a report from The Information is to be believed, though, the company is looking at the possibility of releasing a version of Google Home that features built-in mesh Wi-Fi — essentially working as a hub containing both smart speaker and network elements. 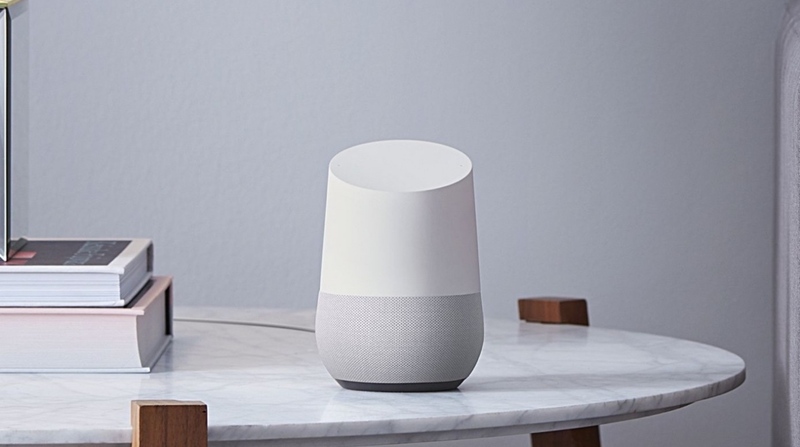 With Google looking to make the case to be the brains behind your home, merging together this package would appear to be a sensible next step, though whether this will come to fruition is unknown. A patent filed by Oculus indicates the Luckey-less joint is looking into new kinds of hand controllers. The basic concept behind the application appears to be a glove featuring varying amounts of stiffness at specific points. Unfortunately, the sole image attached with this patent doesn't offer any hints at how this could be applied to the virtual realm, but it's possible this could provide some kind of haptic feedback or house some tracking element. Despite becoming so popular that its device turned into a noun, Taser has decided to rebrand as Axon. The company indicated the decision was in order to become better identified with its body camera and digital evidence management. As part of the move, it's also doing its best Oprah Winfrey impression and offering free body cameras and software to any police department that wants to get on board. As for the name change, well, don't expect "I got Axoned" to catch on. If you're a cat owner who wants to keep tighter restrictions, UK company SureFlap has announced that an app-controlled version of its microchipped pet door will go on sale later this year. The Pet Door Connect will allow owners to remotely lock or unlock the door from anywhere, and also schedule curfew times to keep their pets in at a specified time of day. So, basically, those who want to treat their cat like a moody teenager will soon be able to do so through the power of the smart home.